California dune, coastal sage and chaparral are home to many unique and endemic insects and other arthropods. CCBER biologists are interested in estimating the diversity of insects as indicators for success in restoration projects, and analyzing their underlying ecological specialties, such as their associations with host plants. Many of these insects are important to humans, such as pollinators and pest species, while others help us explore fundamental evolutionary questions and the effects that human disturbance on biological systems. 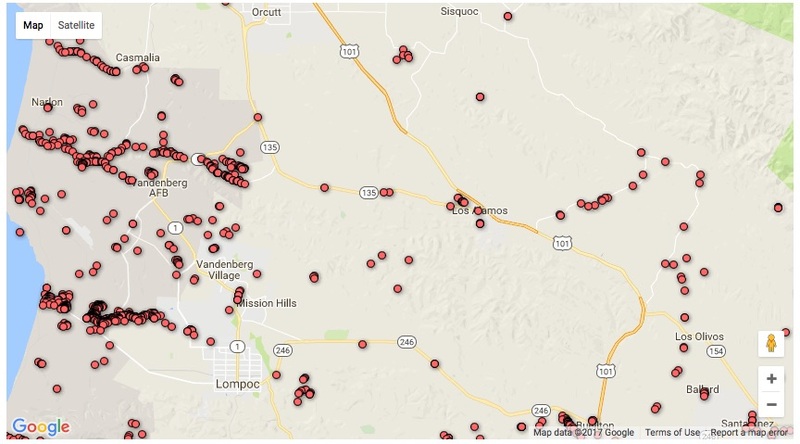 CCBER maintains a regular sampling program around UCSB and has a regionally focused insect collection for voucher specimens. 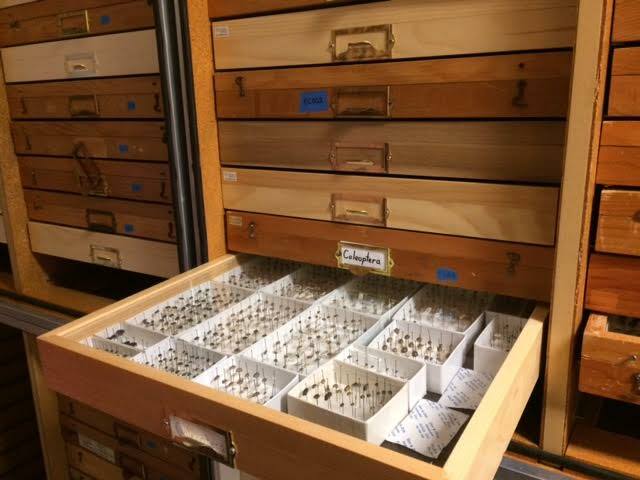 CCBER houses the UCSB Natural History Collections, which includes about half a million plants, insects and vertebrates. Natural history collections constitute our biodiversity libraries and they have broad cultural significance, and more importantly, constitute enormous primary resources that support fundamental research in the biological sciences. Our library of biological specimens, ranging from preserved pollinating bees to deep ocean core samples, shed light on the past, and illuminate ways that the climate has changed, that species are lost, and how biological knowledge has evolved. They also constitute voucher repositories for specimens used in research and identification of organisms of all varieties. As informational resources, natural history collections hold tremendous value, but remain underused. A major focus of CCBER's research is the examination of processes through which we capture information in digital formats, how we publish and share biological information, preserve at risk information, and use this information in scientific activities. At its heart, this process involves the digitization of physical specimens and textual collection event data, how we manage these digital records, how we assess the quality of these data, and how we may augment them with salient metadata. 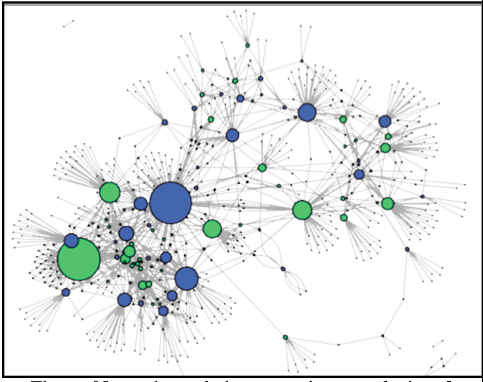 This work is consequently aligned with a major thrust of research in biodiversity informatics that has sought to enable access to biodiversity data troves via computing systems, data science methods, and new technologies. The California Floristic Provence is home to approximately 6,500 species, subspecies, and varieties of unique endemic plants that are found nowhere else in the world. 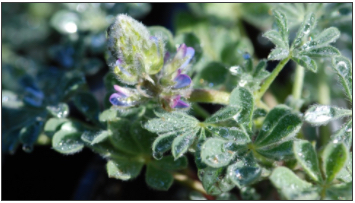 CCBER is involved in studying the requirements for these plants to help ensure their survival. These studies include categorizing their pollinators and pests, habitat preferences, and genetics. CCBER restoration emphasizes regional diversity by outsourcing for local plant genotype and planting a rich mix of plant species on its restoration sites. The Santa Barbara Breeding Bird Study is recording birds breeding in Santa Barbara County, with records dating back to the 1930s. The majority of the data comes from a Field Note Archive held at the Cheadle Center for Biodiversity and Ecological Restoration. 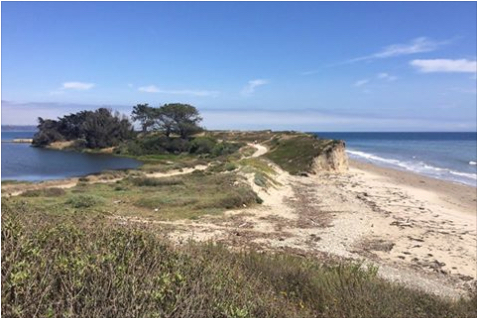 The archive is based on data gathered from UCSB environmental study contracts, from consultants’ efforts in places such as the Santa Barbara Municipal Airport, and from conscientious local birders.